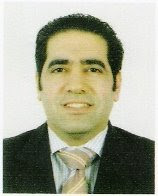 As of 1 April 2008, Maroun Khoury assumes the position of Business Development Manager at Easternpak, Saudi-Arabian based corrugated packaging manufacturer. Maroun joined Easternpak in February 1996 as a Sales Supervisor and was then promoted to Sales & Marketing Manager in January 2002. For the past 5 years, Maroun has contributed directly to the company's sales achievements. Please join us in wishing Maroun success in his new responsibilities.